At the Malaysian International Junior Championships Michael Zverev of Germany took his first ITF Grade 1 singles title with a win over Britain's Jamie Baker, 6-7(3),6-4,7-5. Montinee Tanghong of Thailand had an easier time in her final match against Thassha Vitayaviroj, also from Thailand, 6-1,6-3. The doubles titles went to Woong-Sun Jun & Sun-Yong Kim and Mari Andersson & Esther Van Londen. The ITF and the Grand Slam Committee have announced that they will now be giving winners of junior Grand Slams wild cards into the qualifying event of the professional draw the following year at that Grand Slam. 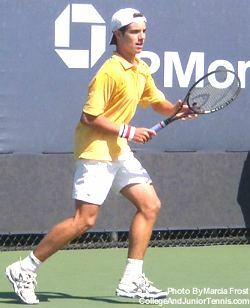 For 2003 that means Richard Gasquet will receive qualifying wildcards into the French Open and the US Open; Angelique Widjaja into the French Open; Todd Reid and Ver Douchevina into Wimbledon; and Maria Kirilenko into the US Open. Clement Morel and Barbora Strycova, last year's junior winners, would have received wildcards into the Australian Open had they been needed. 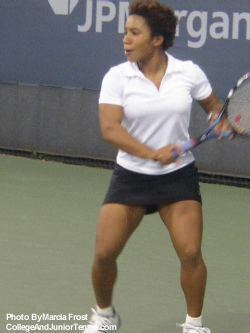 The USTA has named its new coaching staff for USA Tennis High Performance. For the girls team led by Lynne Rolley, Richard Ashby, Jay Berger, Jai DiLouie, Debbie Graham, Ola Malmqvist, Wade McGuire, Ray Ruffels and Katie Schlukebir will be coaching. The boys staff will be led by Rodney Harmon and includes Ricardo Acuna, Steve DeVries, Dean Goldfine, Kelly Jones, Francisco Montana, Mike Sell, Roger Smith and Martin Van Daalen. Vojislava Lukic picked up her third consecutive ITF circuit title when she took Argentina Bowl with a 6-2,4-6,6-2 win over Marinne Giraud. Federico Gil was the boys winner in that event while doubles titles went to Miles Kasiri/Alijoscha Thron and Megan Moulton-Levy/Katarina Zoricic.